After closing just after New Years and a full-scale remodel nearing completion, chef and Clovis restauranteur Chris Shackelford is ready to reinvent Trelio Restaurant, January 27, 2017. Opening in 2006 as an upscale, fine dining establishment on Clovis Avenue in Old Town Clovis, Trelio has evolved from regional american cuisine that not only represents the locally grown and produced bounty of the San Joaquin Valley, but also the changing food interests of the Fresno area and its owner. Trelio sous chef Thomas Stempien, left, and chef Chris Shackelford chat in the kitchen during dinner prep on re-opening night, Jan. 27, 2017. And, while the central Valley’s dining options continue to expand and contract, often between the whims, perception and the harsh realities of economics, Trelio has been a stabilizing force in the Clovis dining scene even as owner and chef Chris Shackelford adjusted to both his and patrons’ expectations and desires. Trelio’s is food and wine centric. Every entrée and small dish they create is from scratch, including baking their own bread. As the restaurant has evolved and grown, owner and patrons alike place an emphasis on cooking, food and wine pairings. “There are a lot of correlations between our menu and the wine offerings as well as correlations between the wine list and the food we serve,” Shackelford said. Styles and ingredients may change but our core is European. “The food is a mix being that I have a French core technique, but we create homemade pasta dishes, seafood, steaks, wild game to tapas dishes that might be found in Barcelona,” Shackelford continued. “Heck, nothing is off-limits. We might even offer a Mexican dish or even offer Armenian or Persian. And as the San Joaquin Valley has such a diversity of people and culture that have made the area one of the greatest agricultural industries in the world, Trelio has made it a point to be relevant and reflect that diverse cuisine with a distinctly European flair. The new Trelio dining room is completely refurbished with Ponderosa pine tables, banquettes, paneling and a new bar milled from Sierra foothills trees above North Fork. However, Shackelford and the new Trelio is adjusting its focus even as the chef and owner battles complacency in and out of the kitchen. He said he needed to change things up and began to change the menu about a year ago. Trelio used many of the 70 dead Ponderosa pine trees from Jim Shackelford’s (Chris’ father) property to form the furnishings in the restaurant, including the tables. When the Shackelford brothers opened the restaurant in 2006, Chris quit his job and jumped in. This time he wanted to be more methodical in his vision for Trelio. While the old Trelio had 12 tables, the 2017 version will only have eight including two sets of banquettes (up to 10 on each side for larger groups). The new menu is designed to be less expensive (up to 50 percent cheaper) and the portions are downsized by 20 percent to allow people to try other courses. Chef, Sommelier and owner Chris Shackelford has changed the Trelio menu to reflect new techniques, expanded and less expensive offerings. Besides special events, wine tastings, holiday and winemaker dinners, Trelio is also offering a new take on dinner in the dining room. He went on to explain that this would be an extended prefix menu, a rare opportunity to experience an artistic version of a dinner that will most often be theme oriented. Examples might be a Cajun dinner during Mardi Gras to a French dinner on Bastille Day. Those who are interested in a bar dinner will sit with guests at a beautiful 16X4-foot custom made solid natural distressed Ponderosa pine top complete with rustic wood edges cut from father Jim Shackelford’s property in the Sierra foothills above North Fork. He had over 70 dead and/or dying trees and hired The WoodShed of Clovis to mill and manufacture the bar, tables, open wine cabinets and paneling that now graces Trelio’s interior. The whole interior is custom and brilliant in its natural state of light reddish-brown, grey/blue hues as well as the knotty highlights and nail or insect holes associated with each tree. The Woodshed contractors completed all the fine woodwork in a refurbished Trelio to complement the new grey color scheme. Trelio’s menu is expanding and besides offering more dishes, the entreés will cost less and be 20 percent smaller. While Trelio is already booked through Feb. 4, reservations are already filling up beginning Feb. 7. Dinner is served Tuesday through Saturday and guests looking for a relaxed, upscale dining experience that is centered around handcrafted food, an Wine Spectator award-winning wine list and personal service should consider Trelio for dinner. Upcoming events on Trelio’s calendar include a Winter Wine Tasting, Feb. 4; a special Valentine’s dinner, Feb. 11 & 14; winemaker dinner with David Scheidt of Mastro Scheidt Family Cellars, Feb. 23. The dinner at the bar special series begins Feb. 28 for “Fat Tuesday at the Bar.” Please call ahead for availability and reservations. Look for Trelio Restaurant near the Clovis Gateway to the Sierras sign on Clovis Avenue. Reservations are recommended as Trelio will only seat 32-36 patrons per evening. Call (559) 297-0783, visit Trelio Restaurant on the web or use ‘Seat Me’ via Yelp. Trelio has seating times Tuesday through Saturday from 5:30 – 8:30 pm. Trelio is located at 438 Clovis Ave, Clovis, CA 93612. Today, Chris Shackelford continues the Trelio Restaurant tradition and acts both as Trelio’s sommelier, chef and owner. He has been in the restaurant industry since he was 13 years old under a variety of central coast restaurants and chefs and at Erna’s Elderberry House for nine years before opening Trelio in 2006. Be sure to read TalesoftheCork’s previous blog post, “Dinner pairings with Buena Vista Wines.” And if winemakers, wineries or restaurants are interested in a TalesoftheCork wine and/or food review on the blog, Instagram, Twitter and/or Facebook, please send us a request via email: talesofthecork@gmail.com or use DM on social media. TalesoftheCork also offers social media seminars for businesses. With 21 years of wine buying, retail sales and the development of a large, loyal customer following, Stan Kato and The Grape Tray have relocated to The Opus I Shopping Center just north of Fresno’s Fig Garden and Bullard High areas, Jan. 4, 2013. 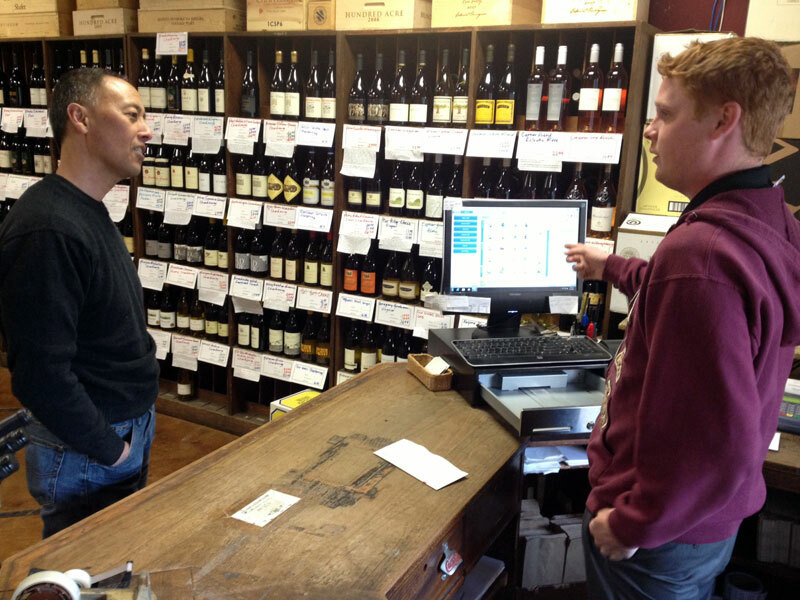 While those who shop for wines at local grocery stores may not have the interest or take the time to seek out unique wine offerings, many vino aficionados appreciate Kato and his staff’s wine scholarship along with The Grape Tray’s long-time focus on customer service. The former Los Angeles finance manager relocated to Fresno to be closer to family and has built The Grape Tray’s retail reputation to include award-winning, popular top 100 rated wines and hard to find boutique choices for sophisticated palates. 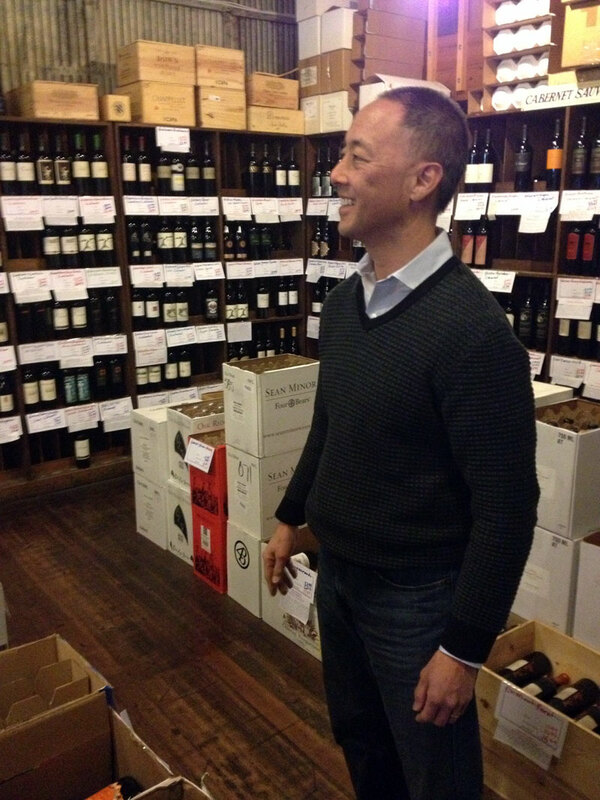 Kato’s emphasis is on old-school business practices and a no-nonsense value per bottle sold is what makes his 4,700 customers keep coming back. After 21 years in business, owner Stan Kato moved The Grape Tray wine shop to the Opus I Shopping Center, Jan. 4, 2013. Sandwiched in between Mathnasium, a math tutoring center, and Wild Rose, Foral and Gifts, The Grape Tray fits very well into the Opus I Center on the northwest corner of Palm and Bullard. All of the businesses are small and compact–no chain stores here–offering local storefronts. Each has 1,500 square feet or less and are all independently owned. And as a result they all have their own clientele, which often produces crossover business. Customers shop for their vitamins at Ounce of Prevention, restring a tennis racket at The Stringer, take their dog to the Central Bark groomer or pick up their watch or ring settings from Mitch’s House of Jewels. There is definitely synergy in this center. 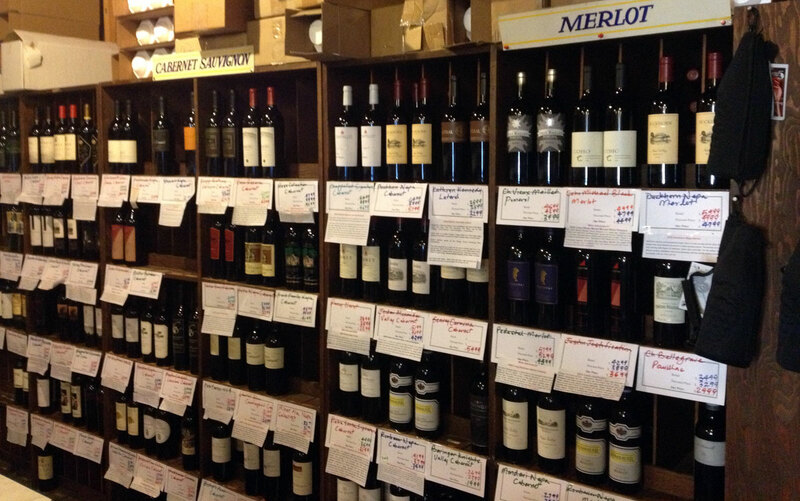 The customers who shop at The Grape Tray know that Stan provides an alternative to the standard wine set; many appreciate the selection and have not had an issue with the move to a smaller store. While in-store, Internet and email sales continue to be strong, Kato believes his success is largely based on a no nonsense, straight-forward personal approach to provide fresh product, competitive pricing along with unique hard to find items. Kato says he left the Shaw and Fresno location because he wanted to be closer his customer base and provide easier access, moving into the space vacated by a pilates studio. “I wanted a smaller location (1,000 square feet), did not want to offer food anymore, wine only,” Kato said. “The new spot had to be in a decent location. So my real estate broker told me about Opus I and while we looked into a couple of other places, our new spot seemed perfect. While The Grape Tray is about a third of its former size, Stan Kato continues to grow his wine offerings and specials to over 4,700 regular customers. While not all Grape Tray customers who walk in the shop or make inquires via the phone or Internet want to discuss their wine purchases, Kato and his staff are committed to continuing their decades-long tradition of building relationships, finding them the right bottle for the table or event. Kato related story after story of how he managed local, phone or Internet customers narrow their wine choices. His focus is educating customers on wine choices. Kato traditionally has staffed his wine shop with Fresno State enology students, including senior Kerry Fitzgerald, right. That story seemed to be at the heart of Stan Kato. He said he didn’t know why the couple decided to come back into his shop after a decade, but they ended up buying a large amount of value wine. Stan said he is happy to sell Camus and Veuve Clicquot or more expensive bottles but will not just hand someone an expensive label when a customer asks for it. Kato is up front and says there’s no gimics, no smoke and mirrors at The Grape Tray. There’s no inflated retail prices with the staff applying a big discount at the register. It’s straight up fair pricing for a bottle of wine. This kind of sales requires a lot of tasting and familiarity with wines and to try and a wine merchant must anticipate what their guests and customers will like. For instance, Stan says he often ask the ages of the wine drinkers. A 22-year-old probably will like something different than a 55 or 60-year-old and the buyer should be aware of varying preferences at the same event. 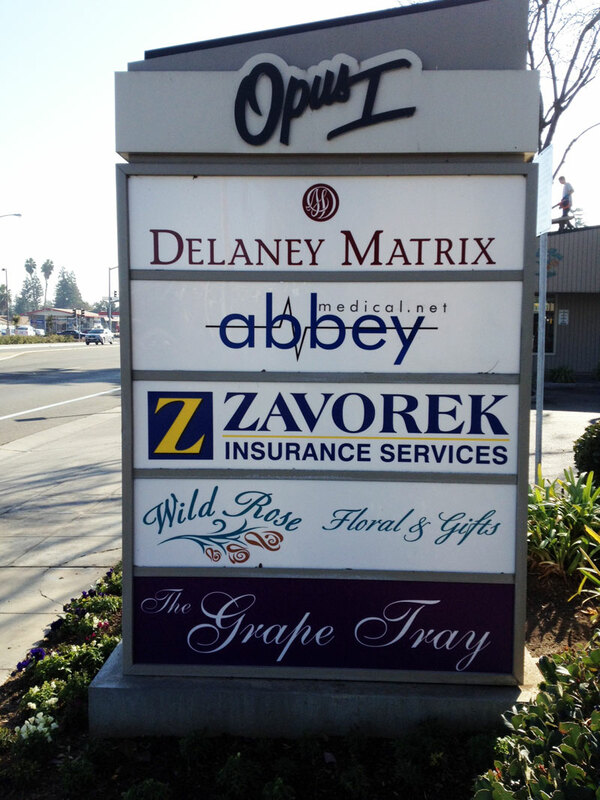 The Grape Tray’s new address is The Grape Tray, 6023 N Palm Ave, Fresno, CA 93704. Their phone number remains 559.226.6828 and can be reached via email: stan@grapetray.com. For past articles and stories, please check the menu bar at the top of the page or read Rangeland Wines and Angus beef: Get to know Laird Foshay. As my palate evolved, my interest in Californian wines has expanded, wanting to appreciate both the vintner and the production process. I am interested in sustainable wine practices and am thankful for the wide variety of wine choices. And now with wine regions’ climat changing, I am even more aware of how climate, terroir and winemakers may need to research new techniques in order to produce higher quality wines in the 200-mile long (Tehachapi Mountains south of Bakersfield, north to Fresno County and Madera Wine Trail and up the San Joaquin Valley to the city of Modesto in the north) Central Valley region. According to the Fresno County Farm Bureau, Thompson grapes are the most common planted variety in vineyards across the Central Valley. Additionally, Viticulturists in the Valley are exploring additional vine varietal opportunities which provide new options for regional growth. In fact, hot weather grape varieties have been planted similar to the ones in Portugal and Spain. 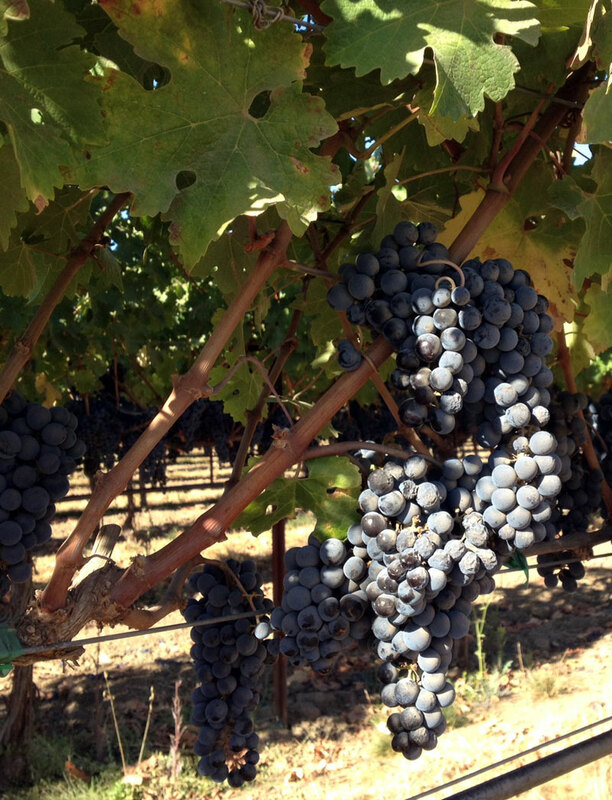 Hot Central Valley summers have produced wine grapes (Thompson) that are traditionally blended with other grape varietals. 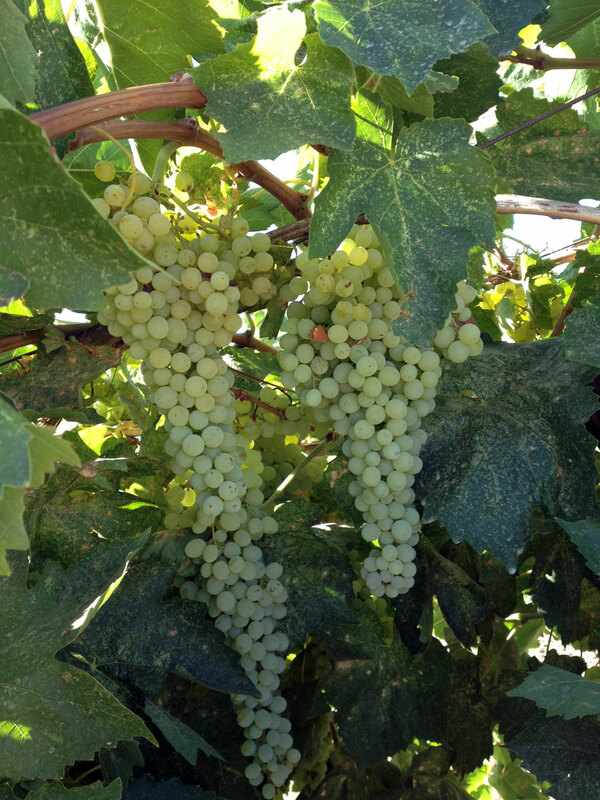 However, the Central Valley grown Muscat grape is becoming more popular with the 21-34 age group who enjoy sweet Muscato wine. Yet, some have doubts that this or other varieties can flourish in the inland valley’s hot temperatures. That being said, a 2011 UC-Davis Central Valley wine study shows how the Central Valley‘s value-priced wine production is projected to increase and has developed a niche in the marketplace, especially wines that are meant for blending. While jug wines and table grapes have carried the wine region through the 1980s, Zinfandel, Tempranillo and Viognier, Chardonnay and Merlot have also been planted in the last decade. In addition, the Central Valley has developed Tawny port and dessert wines that have gained a reputation outside of the region. The Central Valley is one of three California focus wine regions for Tales of the Cork. The other two are the Sierra Nevada Foothills Wine Region and the Central Coast Wine Region. All are within a day trip of my home base of Fresno, Calif. and account for many of America’s most promising wineries and winemakers. 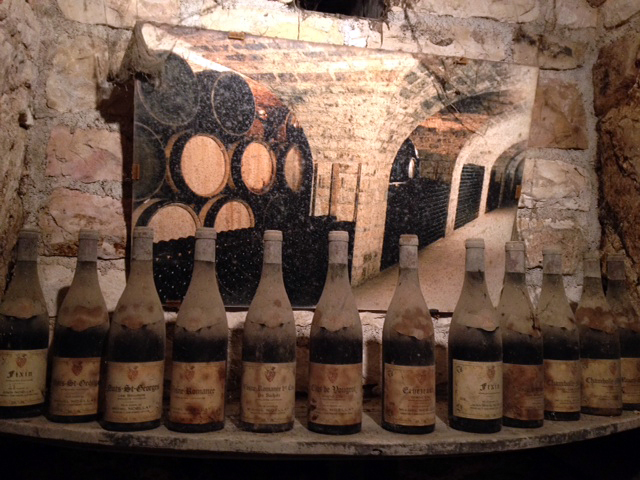 Explore Tales of the Cork with me. Read about the growth and influence of California’s winemakers, merchants and chefs. My goal is to find and develop relationships with them; my hope is to uncover and retell their untold stories. Be sure to leave a comment after each story; share your wine, winemaker or food experience. Tales of the Cork is organized into three categories: California’s Central Coast, California’s Central Valley and Burgundy, France. In addition, expansion is planned in the future. TalesoftheCork seeks to listen to the stories of those who have spent years in the art of crafting wine and food experiences. Often that will require a conversation with those who work behind the scenes to create a culinary experience. In the months ahead, each category will house behind-the-scenes stories from chefs and viticulturists to sommeliers and wine merchants. Utilizing personal interviews with visionaries of gastronomy and wine making, Tales of the Cork will not only provide insight into the value, vision and verve of those who dream to create food and wine experiences, but will share inspiring stories that yet remain untold. My dream intertwines with theirs. I long to learn from and be inspired by their struggles and ability to overcome obstacles. My dream is to build relationships and share the stories they are compelled to tell–stories that have shaped them and their community. TalesoftheCork is located in the heart of California's Central Valley in Fresno. We travel to the various wine regions in the state, in addition to Washington state, Oregon, and several regions in France and Italy.